The Ohio Open Records Law, first enacted in 1963, is contained in Section 149.43 of the Ohio Revised Code. The law describes what records are available, what agencies are covered, what fees can be charged, who can ask for records, etc. Records include all records kept by any public office as well as records of both non-profit and for-profit private schools. Anyone may request public records and no statement of purpose is required. In fact records requests need not even be submitted in writing and can be made anonymously. 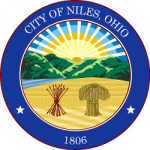 There are no restrictions to the use of records and the Ohio Open Records Law does not specify a time limit on open records request.